The enclosure shall be of a vandal and weather resistant nature manufactured entirely of stainless steel. The main housing shall be louvered upper and lower body to allow for cross flow ventilation. Filter screens shall cover all louvers to deflect against water spray, insects and dust. 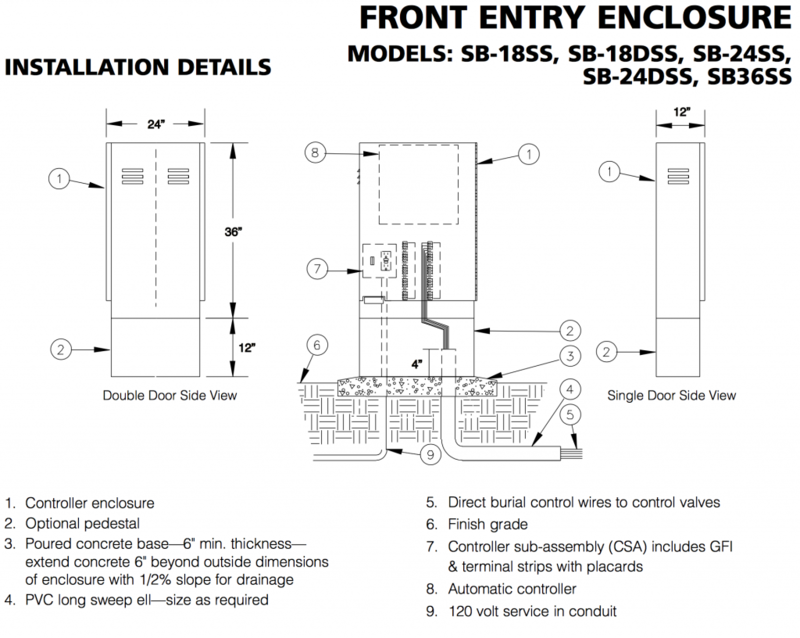 The inside door area shall provide adequate storage for plans, operating instructions, and scheduling information. 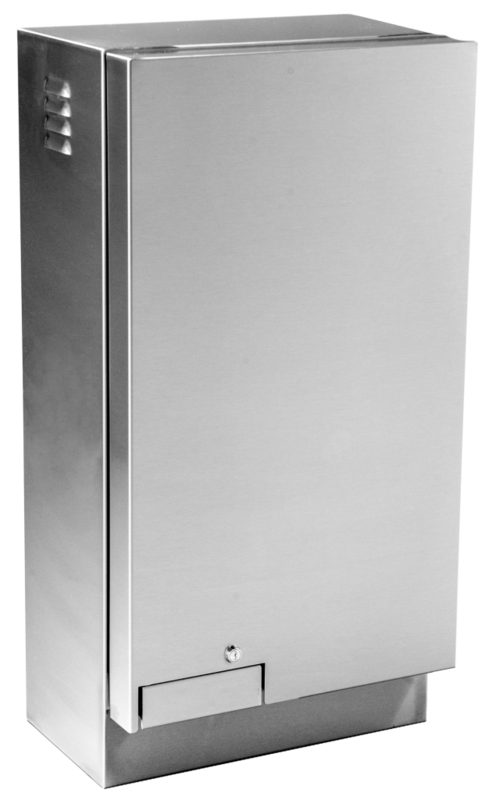 The enclosure door shall have a continuous stainless steel piano hinge, carriage bolted on one side, and a three point locking mechanism on the other side. The edge of the door shall be hemmed to eliminate any sharp edges. The handle controlling the locking mechanism shall be located at the base of the door and be concealed within the sur face of the door. A stainless steel cam style lock shall be mounted in the door and a provision for a padlock shall be included within the locking mechanism. The enclosure shall be manufactured with a continuous drainage channel which mates with a teardrop shaped, hollow center, water-tight, thermoplastic door seal. The above described product shall be a NEMA TYPE 3R Rainproof Enclosure as listed by Underwriter Laboratories, Inc.